Retail point-of-sale systems help improve shopping experience of consumers. All types of retail stores take advantage of the latest POS systems to provide better services to their customers. This type of system also leads to better management of inventory and reduced labor costs. There is a large retail POS market and so manufacturers and service providers in this industry are always coming up with new systems that utilize latest technologies. For retail owners it is important to know the latest trends in this industry. By knowing these trends they can connect with customers in a better way and increase their profits. Retail shops generate lots of data related to their inventory and customers. That data can be used successfully to predict buying preferences of consumers. It can be useful in efficient management of inventory and for other purposes. However, most retail owners are yet to take advantage of all the data they generate. Now there are many companies that offer hardware and software solutions that help make sense of data collected in retail stores. The data also helps manage both online and in-store consumers. These systems help improve management of retail business. 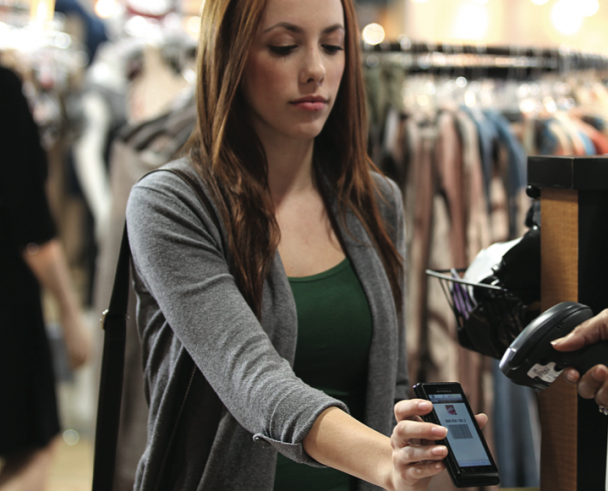 Integrating customer relationship management data with the POS system is going to be the top priority for retailers. This field is also going to see introduction of new techniques and technologies. The idea now is to engage with customers during the purchase process. Customized promotion is going to be the new trend that will pick up momentum. The idea is to engage customers in their preferred ways. With the right type of retail point of sale system it is now easier than ever to offer customized solutions. Specific discounts can be offered easily. When the buying habits of a consumer are known in advance then it is easy to offer specific discounts and coupons. Customers can be scanned in line so that ads and promotions specific to their gender and age can be offered. It helps increase impulse buys. Costs related to retail point of sale hardware and labor can be reduced considerably when buyers are allowed to use their smart devices while shopping in the store. It benefits both the consumer and the shop owner. Consumers do not feel the need for the assistance of the salesperson while the owner is able to provide specific information like coupons and discounts associated with a particular product. Buyers can check different types of information about the products they want to buy from the store site itself. Store owners can use their Counterpoint retail point of sale system successfully to integrate their online and offline stores. They can sell slow-moving items through online store. It is easy to inform consumers about discounts and promotions before they visit the offline store. Consumers can be provided seamless buying experience whether they purchase at the brick-and-mortar shop or through the online outlet. These are some of the main retail point of sale trends that will be adopted by retailers in the coming months. They have to be prepared in welcoming consumers who are well informed thanks to massive online information available to everyone for free. This set of consumers also knows how to use different type of technologies. Retailers have to devise new point of sale plans to deal with new age consumers.